The day begins with a warm welcome from the tour manager at the said meeting point as soon as you finish all the immigration and custom formalities. The tour starts right after with you visiting the famous and magnificent St. Michel's Cathedral. 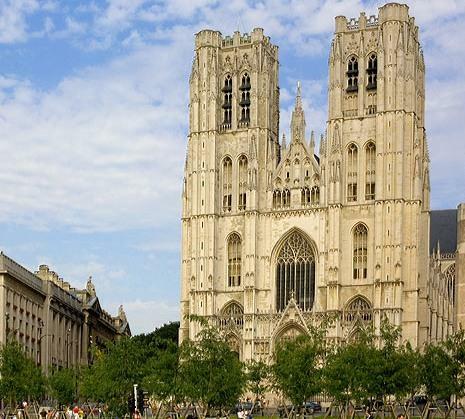 Walk to the medieval streets capturing the history and then proceed for a walking tour to Grand Palace in Belgium, a prime tourist attraction in Belgium. You get to shop for famous Belgium chocolates, waffles and lace. Later on visit the Mannekin Pis, which also forms the must see attractions and then retire for the day in the hotel. 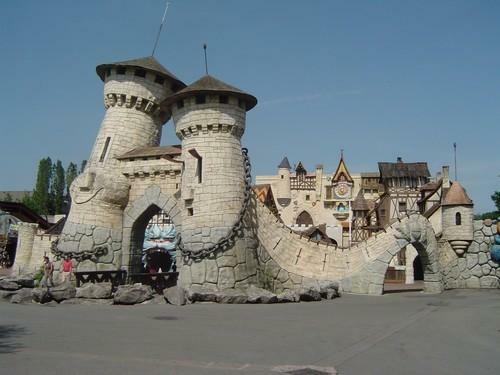 Today the day begins with drive in Paris and enjoy a exclusive fun-filled excursion to the Parc Asterix enroute. Further to continue ride the Tonnerre de Zous, one of the highest wooden roller coaster which rides at the speed of 80 kmph. Try few more fun areas, such as the Oxygenerium, Trandemonium, Menhir Express and much more. Return to hotel for dinner. But wait, that's not the end of the day! What is planned ahead is an Illumination Tour where you get to experience the joie de vivre of Gaie Paris. Enjoy the night cruise on River Seine and admire the illuminated monuments. Do some shopping for small remembrance and enjoy the too. Today you get to visit and shop in one of the prime places of Paris Fragonard - The Parfumeur. Buy any of your favorite fragrances at factory prices. Then enjoy a guided city tour for getting tosee the famous monuments of Paris. Later stop at Grevin Wax Museum and see some of the real and amazing wax statues. End the day with a trip with the elevator to the 1st level of Eiffel Tower. Return to your hotel and retire for the day. This day starts with beautiful drive to Chamomix Valley and then to the majestic mountains of Mont Blanc Range in Swiss Alps. Return to your hotel and enjoy sumptuous dinner. Try your hand and luck at the casino and retire for the day. Enjoy the beautiful trip to Switzerland by awakening yourself amidst the delightful glaciers. Visit the Excursion Tour and ride the highest cable car. Continue the excursion by taking a trip on the Montenvers, the pinion railway. Visit later the Crystal gallery, wildlife exhibition, ice garden and ice grotto. Later drive down to Geneva and take a Orientation tour which will take you to few of the most admiring places in Geneva. Visit the launch of Galcier 3000 - the everlasting snow mountain! Today's day is free for the tourists to visit the shops in Switzerland, do some shopping or enjoy the cable car drive. One can also cruise along the Alpine Coaster if they wish. Visit the View Point and then ride the Snow Bus. 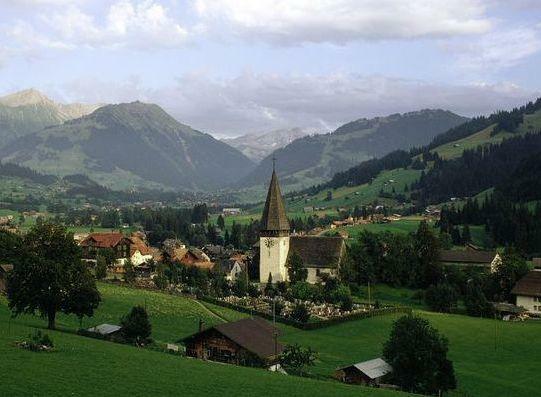 Later go for a drive in Swiss region of Lungern, where a Gala Evening awaits you. Enjoy sumptuous dinner and disco dancing all night long. Today you drive down to Lucerne in Zurich and enjoy the picturesque landscapes. Wait at Lion Monumnet and then stroll along Lapellbrucke (chapel bridge). Enjoy some shopping in Zurich followed by excursion to Schaffhausen where Rhine River thunders over the Rhine falls. Later enjoy an Orientation TOur to Zurich visiting famous monuments and then stroll down to Bahnhofstrasse. Finish the day tour at Lake Zurich and go for some shopping at Gubelin. Retire at the hotel for the night. Get ready to conclude this amazing journey of Europe by taking a flight back home from Zurich. Gala Evening in Paris, Illumination tour, Glacier 3000 and Disco Dancing Gala Evening free for both adult as well as child. - Booking amount to be Rs. 20,000 per person.